Maybe I enjoyed sandy beaches when I was a child, but I certainly don’t remember it. As an adult, sandy beaches represent discomfort in my shoes, sticky salty hands and grit in my bed. Sand seems to get everywhere after you’ve been to the beach. 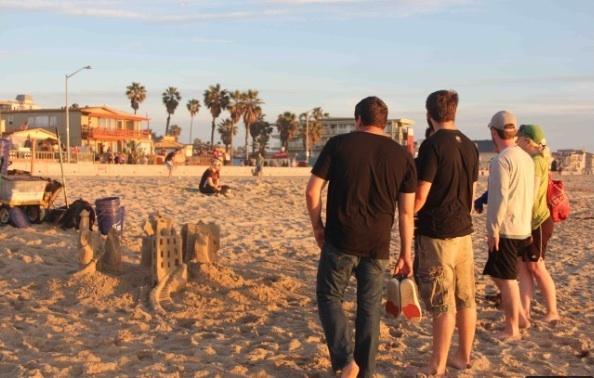 But we’re in San Diego for the bank holiday weekend and I happened to bump into a review for San Diego Sand Castles: lessons in building sand castles. So I did what any sane, self-respecting, sand-hating adult would do and booked a lesson. Ian was sceptical when I told him what I’d planned, but we had a fantastic day. 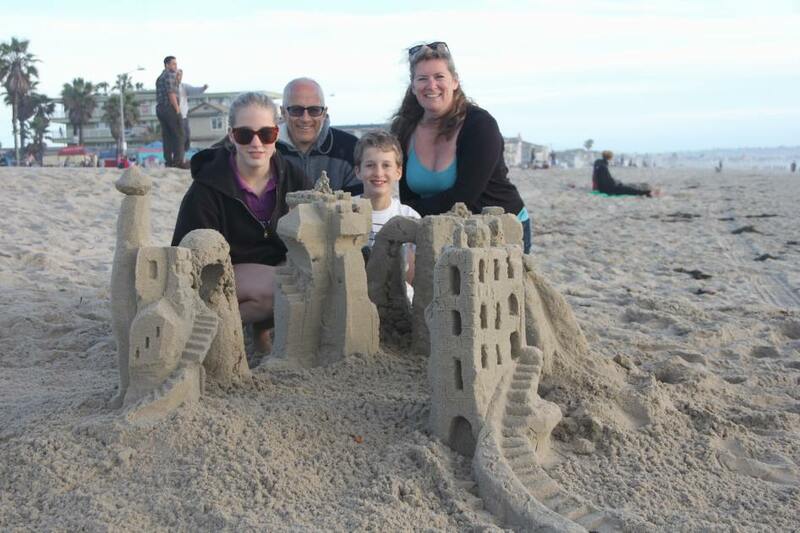 We were building sand castles for three and a half hours and the time flew by. 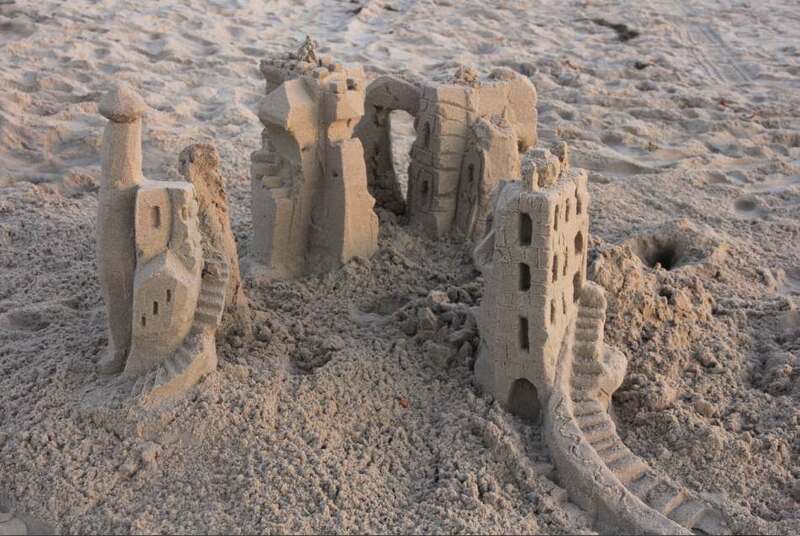 JT, our teacher, showed us how to build professional castles, but he also showed us how to build amazing sculptures after turning up on a beach with nothing but our hands (rather than using proper construction tools, you employ a sneaky “plop and jiggle” method). And to top off a lovely afternoon, we were able to watch the sun set into the ocean and give off a green flash. We can’t wait to get to another sandy beach and practice what we learnt. The sun sets behind our sand castle. Occasionally, it flashes a green light at the exact moment that it sets. Max says the flash is created by the diffraction of light – only one wavelength bounces off (the green one). 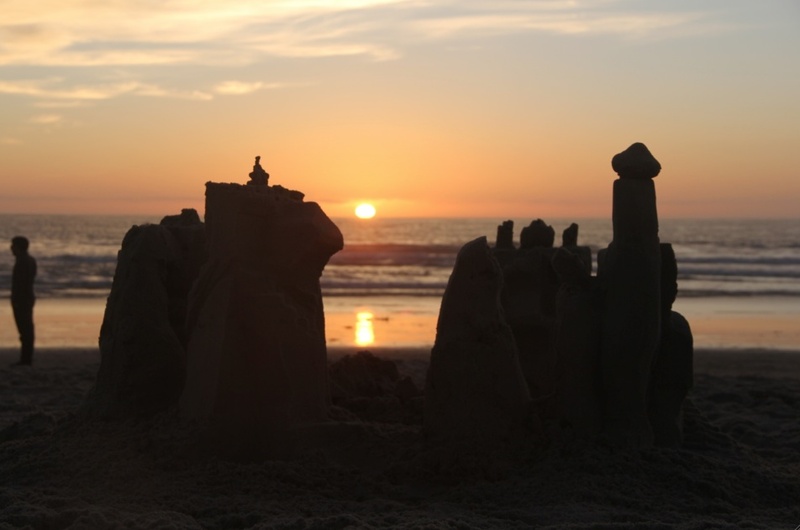 I didn’t manage to capture it on camera, but I did get the sun setting behind the silhouette of our amazing sand castle.